Ieper is a city which needs no introduction in the English-speaking world. Its name will forever be associated with the sacrifice of Great Britain and her Empire during the First World War. The In Flanders Fields Museum, the Menin Gate, the Last Post, St. George's Memorial Church: the average Englishman still knows more about Ieper than the average Belgian. But did you know … that during the Middle Ages Ieper was also a famous centre of the international cloth trade? It was the third most important city in Flanders (after Ghent and Bruges) and during the 14th century had a population larger than London! Its wealth was reflected in the construction of the magnificent Gothic Cloth Hall, with its sturdy belfry. The people of Ieper were on good terms with the English crown, since England was the main source of the wool which was so vital to the city’s cloth trade. Ieper still possesses large parts of its original ramparts, built in the 17th century by Sébastien Vauban, master-fortress builder to King Louis XIV of France – the Sun King. 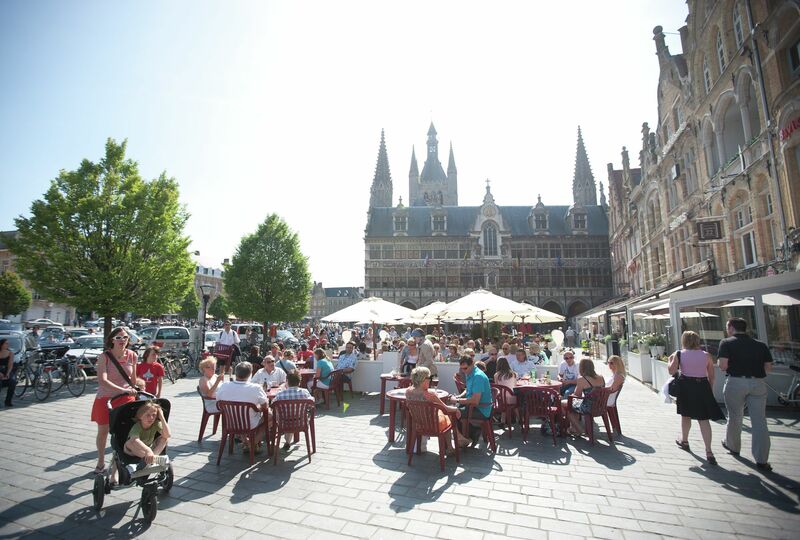 Nowadays, Ieper is a fun city – as testified, for example, by its colourful Cats Festival. Absolutely not to be missed!